We MASTER TECHNICS SOFTWARE SOLUTIONS PRIVATE LIMITED is one of the leading software research and development house based in the home city Calicut, Kerala since 1999. We at Master Technics Software Solutions Pvt. Ltd. is one of the leading software solution provider based in Kozhikode, Kerala and having its southern regional marketing office at Secunderabad, Andrapradesh and oversea office situated at Dubai. Master Technics, established in 1989 in the field of electronics service sector, started the first Data Capturing and Analysing (DCA) software for industrial automation in the ending of 1993 and entered into commercial Accounting and Inventory management Software's in 1999 and converted the firm to Master Technics Software Solutions Pvt Ltd. in 2008 now having a strong client base in the domestic market and overseas. The corporate vision of the company combines our core values of innovative, standards-based technology and unrivalled customer support, with a deep commitment to sustainable, environmentally-sound products and services for the global business community. With operations spanning the globe, we are at the forefront of cost-effective, collaborative merchandise management solutions for today’s distributed enterprise. The software products are specialy designed for GCC VAT implimentation for variety of institutions like retail outlets, POS, wholesalers, Distributers, Manufactures etc. The above products are Arabic enabled with automatic VAT return filing system. 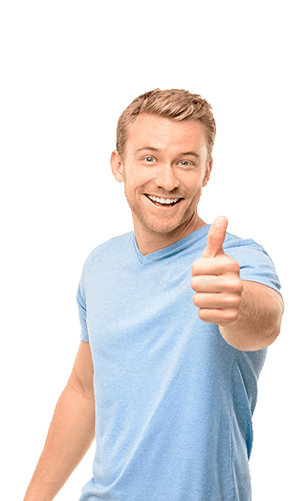 The software solutions are followed up with sales service and training for various packages, by fully qualified and motivated support personnel. All are costomersable according to client requirement and can be integrated with Android devices/App. As a prominent web design company,we offer professional web design solutions that will surely drive your business ahead of competitors. We are one of the best web solution providers with a home of visionary and productive designers and experienced developers. Our software is an integrated affordable, business management solution built from the ground up to meet the immediate and long-term needs of small and midsize businesses. it provides a true and unified view of operations across customer relationship management and finance. Simple to use yet powerful, arming you with the critical on-time information you need to make smart business decisions. Also supports every critical business function, allowing you to stay on top of your business and grow profitably and you can easily adapt applications to meet new requirements, Non technical users have the power to make critical changes on their own, and the system can easily accommodate new functionalities when required. Seamless integration with Microsoft Office products such as Word, Excel etc. Powerful tools let you tailor the application to meet your changing business needs. For e.g. : User can specify their preferences for fields, data type, policies, queries and reports without time consuming IT involvement. Workflow-based alerts to monitor and take action on specific business events. Exception management that automatically detects, logos and reports on exception. ElectroMate is Specially designed for electronic home appliamces dealers with serial number Tracking option for after sale services. 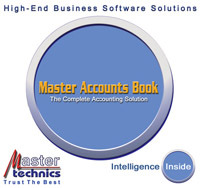 Master Accounts Book is Specially designed for General trading conserns. Saniware is Specially designed for Sanitary showrooms. Stockist is Specially designed for Super stockist Super markets. I was really satisfied with the works they have done and have contacted them. I have contacted them because of their innovative design they have done for me. Thank you so much for your hard-work and sincerity. I am very impressed with Master Technics expertise and capability in helping us in software projects. We believe we made the right choice by co-operating with Master Technics in our flagship product development project. I like the professionalism Master Technics has and the companies attentive nature. I like dealing with Master Technics a lot.